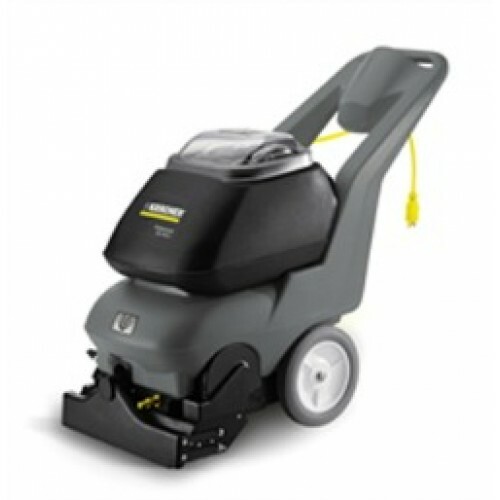 8 Gallon, 18" Self-contained Upright Extractor highh performance, high quality extractor features easy to access nozzles, floating vacuum shoes which provide consistent cleaning results on uneven carpeted surfaces. The extremely rugged chassis and rotocast solution tanks, will endure commercial cleaning challenges for years. Simplified controls, fast set up, easy to use operation means a very short period of training time for unskilled operators, while providing consistent professional results each and every time. Optional accessories for spotting, stair and furniture cleaning.